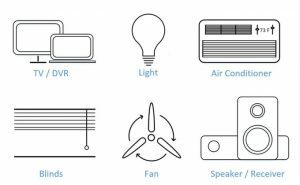 Purchasing smart devices for your homes, such as TVs, air conditioners, speaker, and more, usually requires a great deal of thought. Yet how much thought do we put into buying a quality universal remote that works with most different devices in our home? Today, we’re going to find out if going for the SmartMote is the smart decision we’re looking to make. Let’s take a look at the features, setup, advantages, and drawbacks. The SmartMote universal remote is an Alexa voice activated remote control for most smart home devices on the market at the moment. While SmartMote works do not require a smartphone. It should be noted that the remote also works together with a smartphone app to control all smart devices in your home even if you are away. With SmartMote, you can control all appliance compatible with infrared remotes. Now let’s get technical and take a closer look at the hardware. 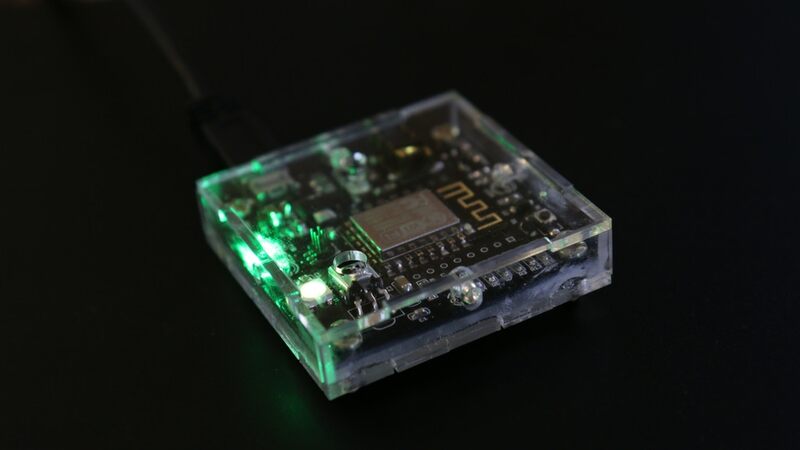 SmartMote was initially built on Raspberry PI but later decided to build a dedicated low-cost micro-controller. A risky move, one may say, but this micro-controller is actually one of SmartMote greatest strengths. Not only does the micro-controller pack all the necessary features you need with a smart remote controller but it can also support future updates. Connect SmartMote to the home WiFi network and place the smart remote controller in the same room with the device you are looking to control. Login with Amazon and setup an account on SmartMote. Finally, you will want to help your remote controller learn the IR codes by using the smartphone app or by talking to Alexa. We enjoyed the easiness of the process and it’s definitely one of the major advantages SmartMote has over competitors. Could be improved by adding SmartThing integration. Sequencing support is not fully functional; supported on the firmware only. 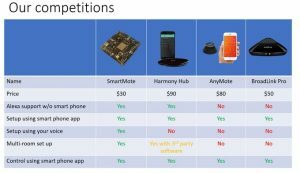 Should SmartMote Fear its Main Competitors? SmartMote has some powerful competitors, and we are talking popular names such as Harmony Hub, AnyMote, and BroadLink Pro. However, if we consider the price tags, SmartMote might just be one step ahead of the game. 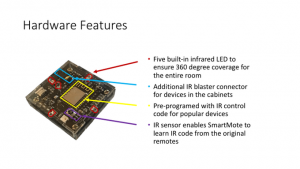 With the cheapest costing around $50 and the most expensive a roughly $90, SmartMote promises to deliver not only the same features BUT more other advantages for no more than $30. What SmartMote brings new to the table is that it allows Alexa support without a smartphone and you can set it up using your own voice. Furthermore, it allows for multi-room setup and not with my help of 3rd party software. With this being said, it would appear that SmartMote might just surpass important players in the smart home industry. We are looking forward to seeing SmartMote evolve and resolve some of the issues users are confronting right now. This is one smart remote control that has a great deal of potential but the current limitations make it a viable option for a smaller pool of customers. Nonetheless, its features and capabilities are impressing and it’s safe to say that going for one of the cheapest options on the market might just be the best decision you will make at the moment. After all. we should see SmartMote as the Alexa-enabled controller we can all afford.